Our Daredevil Week countdown has arrived at its destination, with Marvel’s new Daredevil series now available to stream on Netflix. I’ve been avoiding most reviews for fear of spoilers (I wonder if Matt goes blind! ), but the snippets I’ve seen have been quite positive so far. I’ll begin my binge-watching of the show tonight and post some thoughts whenever I finish up. Andy’s binge-watching (and reading!) has already begun, so follow along with him. But wait! Before you start enjoying this exciting new retelling of a great hero, you owe it to yourself to relive the first live-action Daredevil so you can appreciate this new version even more. And no, I don’t mean the DD from Angela Bowie’s attempt at making a Black Widow show in the late 1970s. Although wow, see how much worse things could be? Maybe Ben Affleck doesn’t look so bad now, huh?! So let’s get to it. 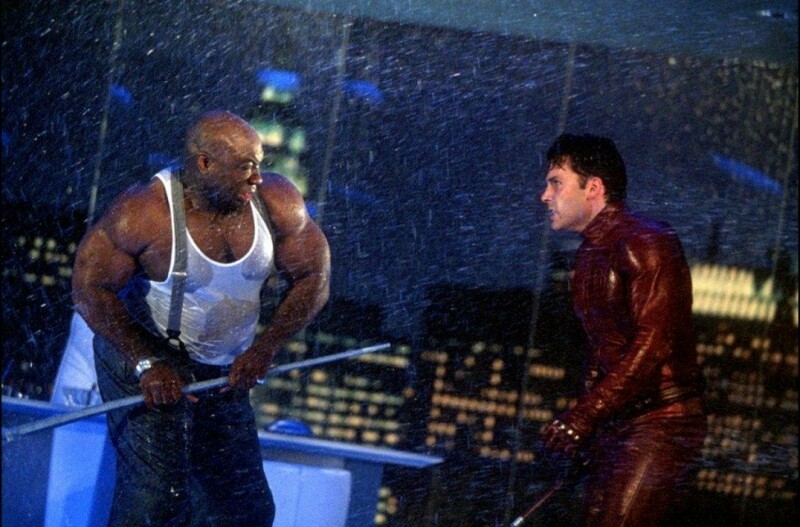 Released in 2003, Daredevil starred Affleck as DD, Jennifer Garner as Elektra, Colin Farrell as Bullseye, Michael Clarke Duncan as Kingpin, and Jon Favreau as Foggy. It was directed and co-written by Mark Steven Johnson, who would also go on to direct Ghost Rider and write and produce Elektra. Related: Johnson’s batting average on superhero movies isn’t great. Or in non-superhero movies, unless you’re a fan of Jack Frost, WHICH I AM. So to rewatch this movie, I opted for the Director’s Cut, which I’d never tried but had seen reviews claiming it was so far superior as to save the movie, even make it great. No. No it does not. It’s better, sure, but not much better. It tries to be a little darker, showing Matt being haunted by a woman he can’t save. It retools the Elektra romance a little so that they don’t actually sleep together, which avoids having the hero ignore someone in help to bang his girlfriend but does cause the recall of the “Stay with me” line to lose its potency later. Karen Page, cut from the theatrical release, has a couple brief scenes in this cut, played by future Grey’s Anatomy star Ellen Pompeo. The biggest change is that the Director’s Cut also adds back in an entire fairly lengthy subplot that shows more of Matt being a lawyer (though Foggy still does most of the work, and both seem pretty bad at it). Which brings me to the best part of this version, the client that Matt and Foggy represent in this subplot: motherfucking COOLIO. That’s right, we get COOLIO in the Director’s Cut! 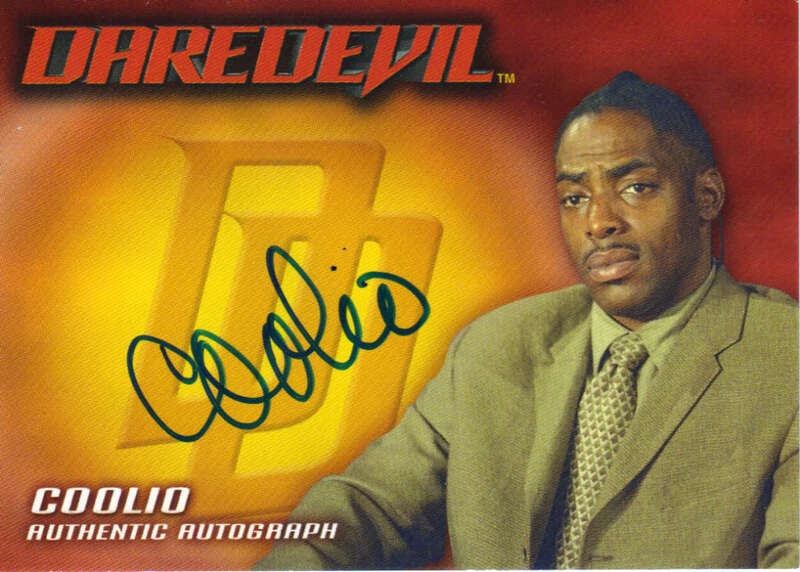 I don’t know exactly when the cutoff was for how long Coolio was relevant, but apparently it was at least until 2003. Was life better when we still gave Coolio his rightful importance? Was the air fresher because of it? Were the songs of birds all the sweeter? Did the sun shine brighter, upon greener grass and purer water? Were we ever so young? Anyway, the narrative that the studio messed things up for Johnson is a tempting one; certainly, the idea of studio execs ruining a creator’s vision is a familiar enough one that it makes sense to wonder about when things go wrong. But I have a hard time giving Johnson any real pass here. His direction is still filled with silly zoom cuts, horrible CGI in that awful church fight scene, and numerous questionable stylistic choices. Despite it all, there was a good movie somewhere in Daredevil that never got to come out. The movie had numerous nods to comic book history, and seemed to care about his nerdy origins, inserting the names of comic book writers and artists into dialogue (and giving superfan and former DD writer Kevin Smith a cameo). The plot is largely an adaptation of Frank Miller’s work, even copying a crucial moment verbatim, including dialogue. The casting was mostly wonderful. Affleck was wooden at times, but I’m not sure it was entirely his fault, as his material mostly called for quiet brooding. Likewise with Garner, she never got much chance to do anything beyond look hot (success!) and fight. Joe Pantoliono made Ben Urich fun, albeit far feistier than the comic book Ben. But I especially want to talk about the two best casting choices, and the worst acting performance. The best was Jon Favreau as Foggy, who worked perfectly as plucky comic relief. A close second was the late Michael Clarke Duncan’s Kingpin. I’m definitely excited to see Vincent D’Onofrio’s version of Kingpin in the new show, and I’m certain that it will be a more well-developed and nuanced villain. But no one will ever look the part of Kingpin more than Duncan did. D’Onofrio is only listed as being an inch shorter than Duncan was, and he’s put on weight for the role. But it’s hard to overstate how huge Duncan looked as Kingpin, not just with an appropriately large belly but also massive, massive arms. Looks might not be everything, but they do matter for Kingpin; he’s a character who exudes power — professionally, criminally, and physically. On the other end of the spectrum is Colin Farrell’s Bullseye. I’ve come to realize Farrell is a pretty wonderful actor, but I hated him for about seven years or so after this movie because of how ridiculous he was in it. In retrospect, he was probably just playing Bullseye the way he was asked to, which places blame back on Johnson and/or the studio. They designed a Bullseye who was supposed to look modern and badass, but comes across as laughable and douchey. Then they largely punted on the calm menacing that made comic book Bullseye so threatening, opting instead for raving loon. The movie ended up being a mess. It had a lot of good ideas that were terribly executed, some bad dialogue, and characters that aren’t given enough chance to resonate. That’s all true regardless of which version you watch. 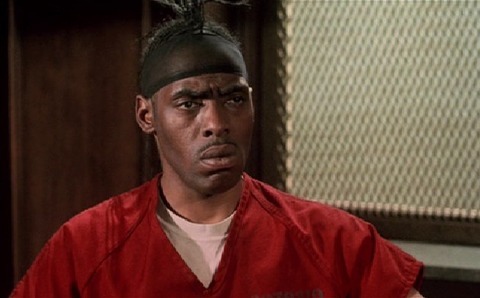 But at least the Director’s Cut also had Coolio.